Described as a multidimensional dining experience, Source pulls out all the stops to make vegetarian food appeal to the masses while still maintaining their focus on healthy, high quality organic ingredients. The best part? A good portion of the menu is gluten free. 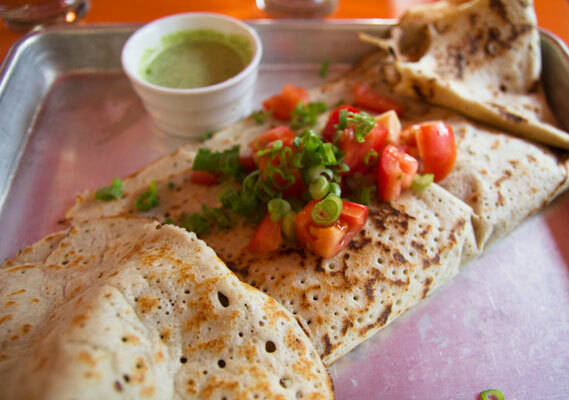 With dishes ranging from masala dosa to truffle mac n’ cheese (vegan option available too), Source incorporates many different genres of cuisine to best suit any vegetarian’s craving. 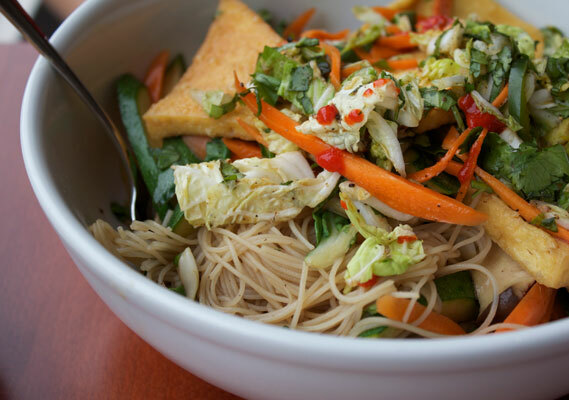 Gluten free folks, you’ll have a hard time choosing between options like spicy Asian rice noodles and sir fries, crispy pizza or veggie dosas, pasta primavera in addition to fresh salads and raw food items. Their menu is clearly marked with gluten free symbols. Don’t forget your vegan brownie bite on the way out the door! The kitchen staff is over the top, we have seasoned volunteers who can GF anything without opening their eyes and then the real kitchen staff rocks! We are so lucky to have ONLY THE BEST vendors provide us with ONLY THE BEST GF food and of course we make so much ourselves. So, thank you campers, volunteers and gfinsf for telling the story so well. 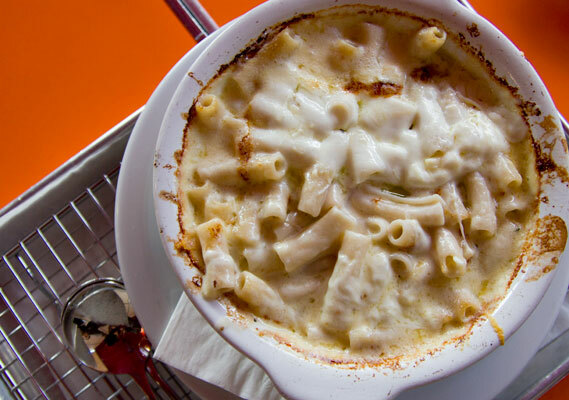 Thanks for the recommendation, I had the truffle mac n cheese – it was delicious! !